Move-in Ready! Best value in Great Falls with over 3, 800 sq ft of finished space on 3 levels. 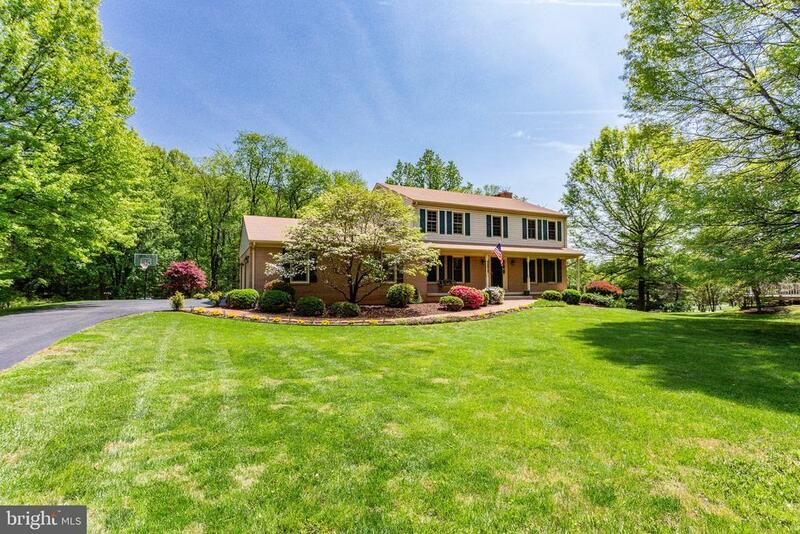 Light-filled and updated colonial offering 5 bedrooms/3.5 bathson 1/2 acre lot in the Langley Pyramid. This meticulously maintained home features a renovated kitchen with granite countertops, stainless steel appliances, large pantry and kitchen office. Separate breakfast room with open floorplan to family room & wood burning fireplace. Complete with large entertaining spaces and generously sized bedrooms, each of the 3 levels of this spacious home has been thoughtfully finished for comfort and enjoyment. Complete renovations on all bathrooms. Oversized walkout recreation room in finished lower level features wood burning fireplace, additional office/game room and full bathroom.Quality outdoor space includes brick paver patio overlooking private 1/2 acre lot with mature trees and desirable southern exposure. Location is convenient to major transportation routes providing easy access to Tysons, DC and Dulles International Airport. A MUST SEE! Directions: Rte 7 west to RIGHT on Rte 193/Georgetown Pike. Immediate LEFT on Seneca Rd. Property on the right, first driveway past Jordan Lane.